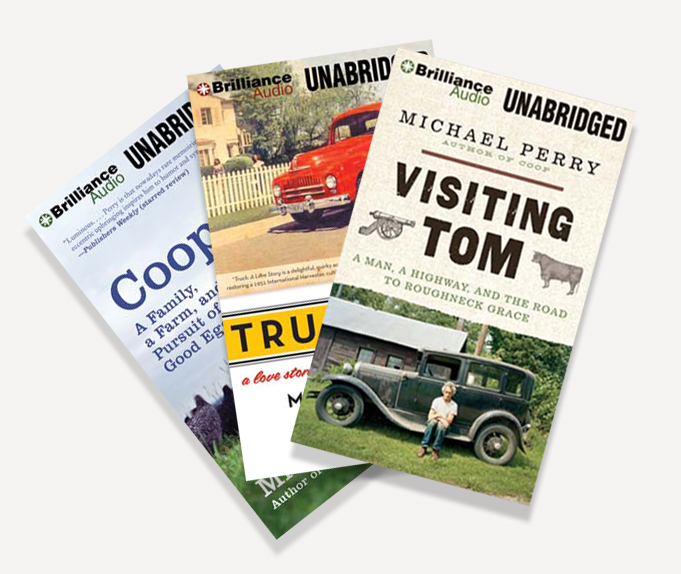 Bundle of three unabridged audiobooks including Visiting Tom, Coop, and Truck. All audiobooks are narrated by Mike. Makes a great holiday gift and is a $10 savings over purchasing audiobooks individually. Visiting Tom: Run time 7 hr 26 min. on 7 CDs. Coop: Run time 10 hr 12 min. on 9 CDs. Truck: Run time 10 hr 21 min. on 9 CDs.